Is there any interest in a campaign focusing on the unsung heroes of vehicle warfare? Trucks, half-tracks, prime movers, horse & cart, fork-lifts, caterpillars etc. etc. Any era, any army, any scale. Basically anything in military use without guns (towed guns would be OK). I'm thinking the like of staff-cars & motorbikes should be excluded so the focus would be on heavier duty vehicles! I think it's a great idea. I'm in. Hope others join to make it a reality. Nice idea. I have a Hobby boss M4 the 8in version I sort of started (I think I only did one of the idlers and one of the road wheels.) If that would be allowable I'd be in. Great idea, I'd be up for it. Not sure what with but you can count me in. Hi - I like this idea too! Maybe another scratchbuild for me...? I'd like to build one of the JCB HMEEs....(armored backhoe)....this could be the reason to do it! I'll toss my hat in on this! I have a few softskins looking for excuses to build without adding a gun to them somewhere! I'd Join. Got a DML German 8 ton HT just waiting in the stash. A great idea! I'm sure I could find something appropriate for this. I just picked up a Tamiya Universal Carrier at a second hand store. Would that make the cut? Would a Bergepanzer IV or Pzkpfw IV Ausf D/E Fahrgestell qualify? 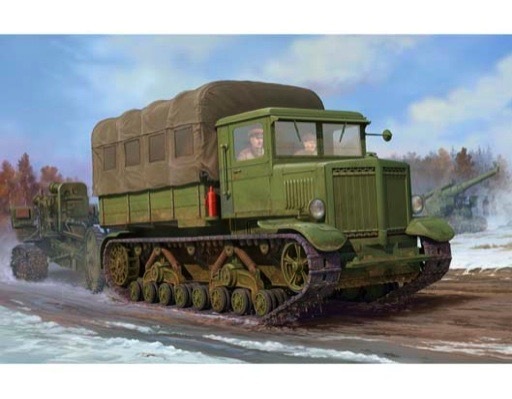 If not I have both early and late production versions of the SdKfz 7 I could do. I think it has a machine gun for self-defense, but otherwise unarmed--just a carrier. I think we should keep it to unarmed vehicles for a clearer distinction. So the bergepanzer would be ok since it's a rebuilt fighting vehicle. Similar to for example a MK.IV Baggage tank. The carrier would then be excluded together with other ifv's and vehicles designed more for the frontline. It's great idea, count me in. I have a few workhorses in my stash. What will be the time frame for this campaign? Good question. I would almost leave that to the campaign manager to fit it into the schedule but say 10-12 months or something like that? After taking another look at the kit I have I see it does have the integrated MG, so clearly not meant for this campaign. Just now I've seen your proposal for a campaign focused on workhorses. I like the idea. So, if the campaign will be approved, of course I'm IN with this.